Via Daniel Stoddart comes this article on the effect of William Tyndale’s Bible translation upon the English language. David Daniell has a wonderful treatment of this in his tome, The Bible in English. Not only did Tyndale’s solitary work of Bible translation decide, in the words of Bishop Westcott in 1868, ‘that our Bible should be popular and not literary, speaking in a simple dialect, and that so by its simplicity it should be endowed with permanence’: Tyndale clarified the English language. Since the early eighteenth century, the greatest praise has been heaped on the language of the King James Bible (the ‘Authorised Version’), made in 1611. Yet over four-fifths of the New Testament of that version is simply Tyndale’s work of eighty years before. In 1611, one of the last years of Shakespeare’s writing life, the English language was at a peak. It surprises nobody that the Bible from that time has immortal glory. Yet it should surprise everyone. The work of Tyndale that was taken over in 1611 was done three generations before, when the English language was a poor thing indeed, almost dead at the bottom of the pond. What English there was in Tyndale’s day – Latin was the language of academia, government, religion, and the professions – lived in the shadow in Latin and Anglo-Norman. English writers adopted heavily Latinized styles and relied heavily upon non-Saxon vocabularies. Tyndale resisted the high Latinate register, which would be aspired to by many of his successors, adopting a simple and powerful style, using monosyllables, a straightforward and clear syntax, generally avoiding dependent clauses and participles, and sentences fashioned to the ear, calculated to settle firmly upon the memory. His style was only slightly elevated above everyday speech. He also proved very able in his adapting of his style to the various Hebrew and Greek styles of the Old and New Testaments books and narratives. 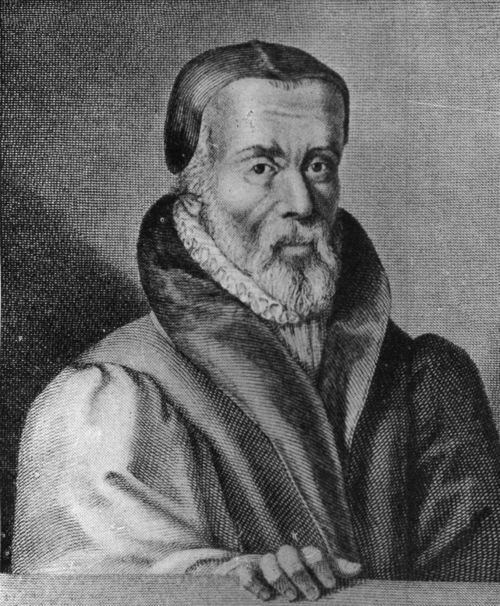 Tyndale, in his Bible translations – including all the historical books, printed after his death – made for the Bible not only a strong direct short prose line, with Saxon vocabulary in a basic Saxon subject-verb-object syntax, but also showed a range of English styles which, coming out of the 1530s, astonishes the knowledgeable reader. No one else was writing English like this in the 1530s. In discussing Tydanle’s distinctive style as illustrated in his translation of particular passages, Daniell highlights several examples of some of Tyndale’s powerful phrases and expressions: ‘For the day present hath ever enough of his own trouble’, ‘which chop and change with the word of God’, ‘my soul is heavy even unto the death’, ‘not as I wilt, but as thou wilt’, etc. Tyndale understood the real source of power in the English language, which is a plain Saxon base in vocabulary and syntax, within which, not on top of which as decoration, great suggestibility is possible. Shakespeare also understood this, as in Hamlet’s ‘This fell sergeant, death, / Is strict in his arrest.’ Good English syntax, which is Saxon syntax, is logical in its subject-verb-object formation…. Verbs are at the centre of verbal power in both senses. So, in Tyndale, Jesus says not as it might be, albeit absurdly, in Latinate English, ‘The elevation of thy recliner and perambulation imperative is’, but ‘Take up thy bed and walk’. Saxon words are short. So too are Saxon sentences, in which short phrases are joined by ‘and’. In the Hamlet example, though, sergeant and arrest are of Anglo-French origin, and strict of Latin origin. It’s actually extremely hard to use an exclusively Anglo-Saxon vocabulary. I don’t think that Daniell would disagree with you. His focus is primarily on the straightforwardness of Tyndale’s syntax, and the predominantly monosyllabic character of his chosen vocabulary. While Tyndale uses words of non-Saxon origin, they are not as characteristic of his style as they were of others of his day, whose style was often an attempt to render English more like Latin. Interestingly, in the Chinese tradition classicism was usually a return to simpler, more direct language, departing from highly stylized forms that often interfered with efforts at critique and reform of the political status quo.